As you know, I’m a retinol junkie and use a high strength serum pretty much every second day. Still, there’s another star anti-ageing ingredient that most people can benefit from and that’s an AHA (alpha hydroxy acid). Essentially an exfoliating acid, you get several different types that differ in terms of what they’re derived from and how they work. One of the big boys, however, is glycolic acid. As it’s a small molecule, it penetrates quickly and deeply making it one of the most effective, but also one of the most irritating if you don’t use it properly. More on that later. So, why do you want Mr GA, or any potent AHA in your life? First up, they exfoliate like a boss and this is important. Removing the dead, outer layer of skin allows all your other ingredients to better penetrate and gives your complexion a real glow. (An uneven skin surface cluttered with dead skin can’t reflect light, but a smooth, ‘polished’ one does.) Another plus of speeding up your skin’s cellular turnover is that the old mark-riddled skin up top gets shifted away faster to bring up the new, better-looking skin at the bottom. Great news for anyone dealing with pigmentation or struggling with a mark left behind from a monster pimple. There are numerous great AHA treatments on the shelves – you’ll know I love Environ’s AHA gel and cream (R220 – incredible value!) 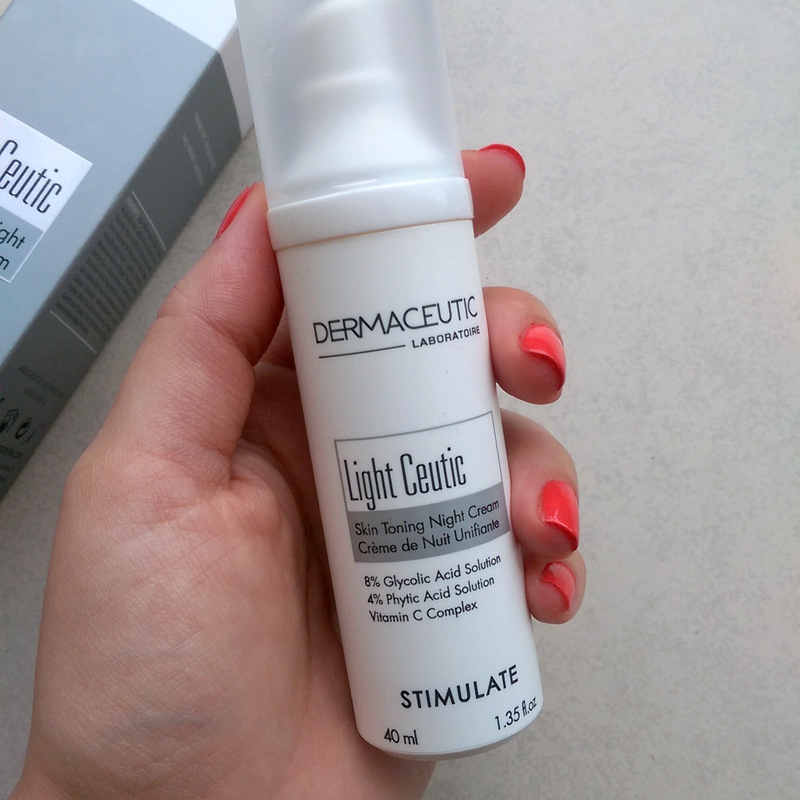 but I’ve recently discovered and adore Dermaceutic Light Ceutic Skin Toning Night Cream (R500, find stockists here). When it comes to concentration, Light Ceutic doesn’t stuff around. It boasts a whopping 8% glycolic acid and oh baby do you feel it so use it cleverly. Don’t give your face a scrub with an exfoliating powder, torture it with a 1% retinol serum the day before and then slap this on and expect it not to sting. (This is something I may or may not have done, despite knowing better, because more often than not I’m applying my face products while drunk on launch booze.) You need to go in gradually by applying it every other night and then ramping up to every night if you can tolerate it. Or maybe just stick to using it 3 or 4 nights a week. You’ll soon figure out what you can tolerate. Either way, this is a glycolic hammer so use it with caution and only ever at night. AHA products will always make your skin more sun sensitive so it’s a ‘bed time friend’, not a ‘slap it on and hit the beach’ product as you’ll burn in your moer and ironically cause even more pigmentation. You’ll also want to invest in a high SPF and wear that every time you set foot out doors if this baby’s in your artillery. Hell chica, you should be doing that anyway! Anyway, aside from glycolic acid, Light Ceutic’s formula also boasts phytic acid and vitamin C. Both are great antioxidants with skin lightening properties so the more the merrier, right? The fact that this comes in a pump bottle makes me so happy. Remember girls, you spot any actives packaged in a tub and you drop it like it’s hot. I’ve been using Light Ceutic for six weeks now and it’s done a nice job of blitzing the mild pigmentation that appears on my cheeks whenever I come back from Thailand. I also love it’s texture – a light lotion that absorbs fast and doesn’t leave me feeling sticky in the least. For me, this is a product I’d happily buy with my own hard earned cash and that’s high praise from a spoiled, jaded beauty blogger currently receiving more products than she could ever use. I always wanted to try retinol but eish the price tags are hefty, BUT now I see Environ has a budget friendly one. Do you have a blog post on it? I’m totally buying that one to start off with!! Hi skat! I just replied to Camilla’s comment and mentioned that. I’d love to know what Environ 3’s percentage is but they aren’t open about it. So far, the best value super strong product I know of that openly states 1% is Paula’s Choice Clinical 1% retinol serum but at R930 it’s not cheap. The dollar-rand thing has really screwed us over. Still, if you’re a newbie, you can do lower percentages for a while and in that case I’d totally suggest you try revving your way through Environ’s 1 to 3 retinol serums. Which “1% retinol serum” would you recommend? I was using an uber potent product from Dermaquest but it looks like the discontinued it locally and then the dollar shot through the roof so I wouldn’t even recommend hunting it down on eBay. I was about to switch to Paula’s Choice Clinical 1% retinol serum (R930 for 30ml) but have just been sent Exuviance Super Retinol Complex to trial (R855 for 30ml) so I’m keen to give it a bash first. 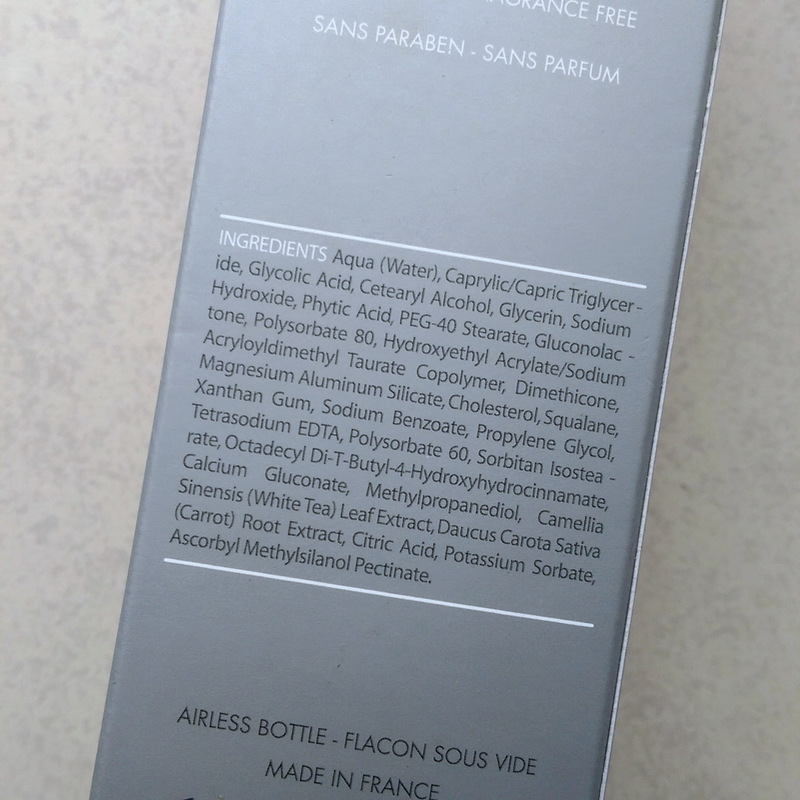 My only hesitation there is that while I can see it’s jam-packed with retinol due to it sitting so high up in the ingredients list, it doesn’t list its percentage. This is the reason I’ve been slow to try Environ’s retinol 3 serum. It’s supposed to be super sterk but they don’t give you a percentage. A pity because if it was something like 0,5% I’d happily recommend it to everyone as a ‘starter’ before ramping up to a 1% as it’s the most economical out of the bunch. I wonder if you/I can contact Environ and ask? I just can’t afford friggen R855 – argh! Hi Leigh, I’m a little hesitant to try retinol. My skin is a sensitive after my pregnancy. I want to treat pigmentation though, can I start with this and add 0.5 later? Combo, dehydrated skin. Can I add it to my current skin care range or should I stick to the same brand? Love your honest reviews.